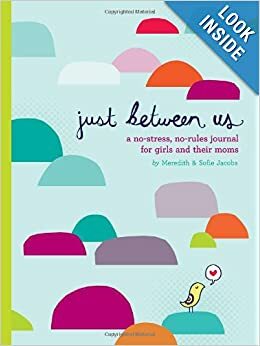 This Christmas each of the girls received a Just Between Us journal for moms and daughters. And really - it has been fabulous. Rather than staring at a blank page, there are journal prompts for us to write back and forth with each other and get conversations started. Both girls have jumped into this with excitement and I love seeing what is on their minds and hearts, especially when their personalities begin showing through the ink. “When I was little I thought you were the best mom in the world. Now that I'm older, I know you are. (I got that from a Hallmark card). I may have laughed out loud at that journal entry. Because this girl just cracks me up at times, and this is just one of the many examples of her brain at work.